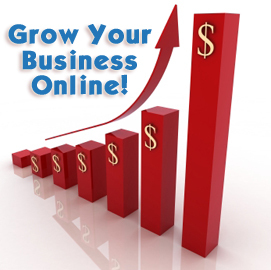 The web as a business environment is maturing and a lot of the systems required for success online are standardized. 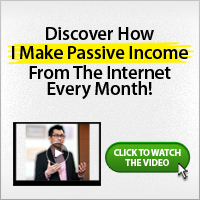 There are certain things you have to go through in order to establish a Successful Internet business. The upside to this is that you don’t have to struggle on your own. Just follow in the footsteps of those who have come before you. If you are planning on setting up your own web business to sell a product or a service, here is a sequential list of the typical activities you must learn and then complete. This is by no means a complete list, nor is it mandatory to go through every step. This is simply a generalized strategic breakdown of what works in online marketing and is typical of how an Internet business is set up. 1. Select and buy the most appropriate domain name(s). 2. Select and buy the most appropriate website hosting package for your site. 4. Develop a clear differentiation strategy (pick a niche) that positions you in the marketplace as unique and an expert in your field. 5. Write benefits-laden, customer-focused, sales copy to match the strategy in step four. 6. Implement a payment processing system to accept online and offline purchases if required. 7. Create “free” content to offer your target audience that soft-sells your expertise, establishes your credibility and builds your contact list. 8. Set up autoresponder series to distribute your free content and capture email addresses to build a list of prospects. 9. Implement Pay-Per-Click search engine advertising campaign(s) to bring in traffic. 10. Optimize your web pages for search engines so in a few months your site starts to enjoy free traffic from Google, Yahoo! and MSN Search. 11. Proactively work on search engine optimization including building backlinks, adding new content and networking online. 12. Tweak all the above so that conversions (new customers) increase and consequently profits increase. In a nutshell, the above is a generalized formula for succeeding in any online business. Each step can be broken down into many activities and includes many different techniques and methodologies. Education is the key and the better you are at the steps outlined above, the more success you will enjoy. If you would need a professional touch on your internet business, you should check our services page to see a list of the things we are good at and that we can do for you without stress. Just go through them and call on us whenever you need our services. Don’t postpone that for too long anyway. Keep up with the good works. I am interested in working together with you.